Looking to improve and enrich your marriage? Join us for this 12-week study filled with hilarious, practical, and straight-forward advice about relationships from Mark Gungor. Laugh and learn as you explore the underlying dynamics of male/female relationships and learn life-changing marriage truths. Couples will hear Mark’s honest and hard-hitting insights, receive guidance to discuss and interact with each other, and be able to make real, positive changes in your marriage. Together, you will experience the fun of Mark’s unique look at love, life, and marriage that has made him one the most sought-out marriage speakers! Child-care will be available. Class materials are $10/couple and can be paid for on the first night of class. 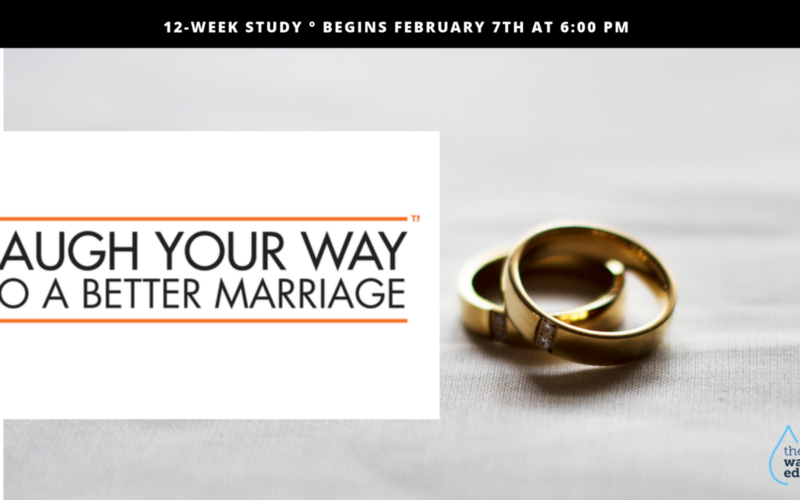 Laugh Your Way To A Better Marriage starts February 7 at 6 p.m.